During last week's final Super Smash Bros. 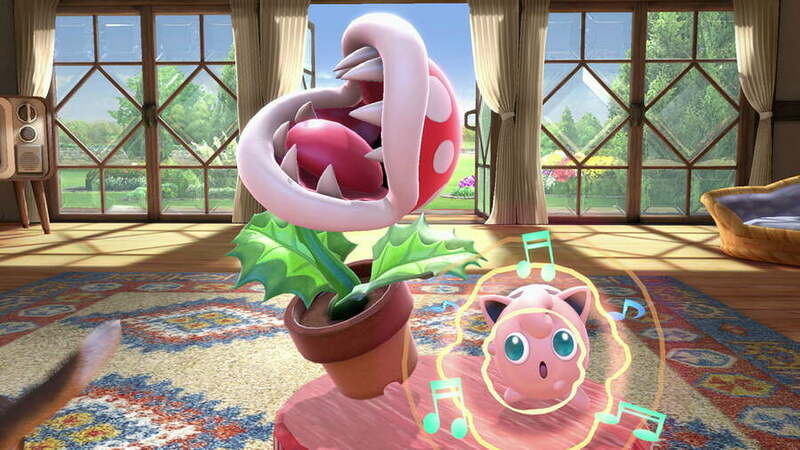 Ultimate Direct before the release of the game in December, Nintendo revealed if you pre-purchased digitally or registered a physical copy on release, you would receive the new fighter Piranha Plant. Even though the game's Director Masahiro Sakurai said the new fighter was still in development and scheduled to arrive a couple of months after launch, it appears Nintendo is already sending out codes for the famous enemy from the Super Mario Bros. series. According to users on Reddit and various other social platforms, if you bought the game digitally, there's a chance the code for Piranha Plant is already in your email inbox. PSA: Check your emails if you purchased Smash Ultimate digitally on the eShop. Hopefully, the immediate distribution of codes will ensure everyone is ready to go prior to the character's release - and perhaps even the game's launch. Have you digitally pre-purchased Ultimate or are you picking up a physical copy on release? Are you excited about Piranha Plant? Tell us in the comments. Too bad you have to wait so long to play as it. So, with the physical version, all you have to do is press + and register the gold points for My Nintendo? Is this a digital only pre-order bonus, or will it also be for the physical edition? @sanderev Register the physical edition by 2019-01-31 to get a code. At first i was like what the facebook? But now i think its cool. Piranha plant lol. Oh, I guess I've yet to receive the code myself. @Jaxad0127 I know, it’s an unfounded fear. I’ve read it in multiple places say that you just have to register the game. I really dont think anyone that wants to play this game will not have it before 1/31/19. Piranha for everyone! I can confirm it, as well. Just got my code. I pre-ordered the game digitally along with the character pass, but I have not received this email. I hope this happens with physical copy too. Getting this digitally, but not preordering it until the 6th December and then preinstalling it ready to play at midnight, as it seems pointless to do it too far in advance. Especially as the money comes out of your account straight away. Bought it straight after direct. Haven't got the code. Getting FoMo!! @Kalmaro In my case can't even play it on launch date. Gotta wait till Christmas (My poor wallet) is the reason. @The-Chosen-one What do you think I thought when I saw Duck Hunt for the first time? lol to be true i haf the same reaction with duck hunt now you mention it. 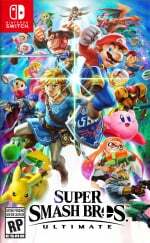 @Jaxad0127 "Nintendo has explicitly stated that you just need to register the physical game by 2019-01-31. https://smashbros.nintendo.com/buy/ (near the bottom)"
That's my plan as well to get it done before the late rush. Can one just imagine the rush for those procrastinators on that day. Nintendo better have their serves up to snuff that day. I even bookmarked the link. I prepurchased it through the Switch eShop and haven't gotten a code. Is it done automatically for eShop users? I'm confused. Maybe I haven’t received the email because I purchased the character pass and that includes Piranha Plant? @Blizzia No, US buyer here, no code yet either. Maybe just standard edition and not deluxe edition buyers so far? @NEStalgia Hmm, possibly. Oh well. It'll come eventually. Just checked and the Piranha Plant code was in my inbox! I ordered my physical copy today. So when I have the game, I just have to register it for Gold points before the end of January (so I can get Piranha plant)? The wording in the direct was "if you buy the game early". @Pod they did, in text. @Kalmaro I'm sure that by the time I unlock everyone in Smash Ultimate, the Piranha Plant would magically be there. There's 74 characters in the base game and only 8 are available at the start so yeah would be a busy Smash time for me. @Gravitron no not that I recall here. Just my alias on here but I do also like what they do on YT as well. It appears Nintendo is already sending out codes for the famous enemy from the Super Mario Bros. series. Check your inbox for a spam code. Piranha Plant is easily the worst fighter in Super Smash Bros Ultimate. I assume not everyone has received the code yet? Despite pre-ordering it in the eShop last weekend, I haven't received any codes, yet. That's cool. I was sure they said it was available with a Physical pre-order in the Direct, but assumed as they didn't specifically say "and Digital" that it wasn't going to be included for Digital. I thought that seemed weird, so I'm glad that's not the case! No chance of me getting this in any form. @TheGhostWhoWalks What problems are there with Piranha Plant? I mean it's not out yet, when did you get to test it out? @Ryu_Niiyama I was thinking the same. I don't think I've used a plant as a character in a fighting game since Guardian Heroes on the Saturn. @WiltonRoots It reminds me of what made smash originally so compelling for me. The idea that imagination brought these dissimilar characters and worlds together. It was a game that celebrated play and I always felt it was a reminder that a lot of game dev is imagination made reality rather than just a mass produced product. Concepts like that almost make me believe the games are art argument. @Ryu_Niiyama Yep to me it spells creativity. A western version of Smash would be nothing but gritty anti-heroes scowling against desaturated rubble-ridden backgrounds. Did anyone get the Download code from Nintendo yet? UPdate: I did seem to get it on December 10 but the email is so vague you wouldn't know it. @SwitchForce I got the code via e-mail. Redeemed it via the eshop so that the character will appear on the release day. The headline of the mail was ”Your Piranha Plant Fighter code is here!”. Maybe you should contact Nintendo? Strange that you haven’t received it. "Hopefully, the immediate distribution of codes will ensure everyone is ready to go prior to the character's release - and perhaps even the game's launch." Yeah, actually NO, I thought this code was going to be distributed on release just like Mewtwo's code back in Sm4sh, and if that damn code landed on that spam box FOR SOME GOD FORSAKEN REASON, is long gone, and Nintendo WILL hear about me soon.